With Tata AIA Term Insurance and Protection Plans, you can provide financial protection to your family in the unfortunate event of the demise of the breadwinner of the family. Tata AIA Term Insurance Protection Plans are offered by Tata AIA Life Insurance Company Limited, a purely joint venture company between Tata Sons Ltd. and AIA Group Ltd. All Term Insurance Protection Plans offered by Tata AIA are designed keeping the well being of the policyholder in mind. Currently, Tata AIA offers 5 different Term Insurance Protection Plans, namely Tata AIA Life Insurance Sampoorna Raksha, Tata AIA Life Insurance Sampoorna Raksha Plus, Tata AIA Life Insurance iRaksha TROP, Tata AIA Life Insurance iRaksha Supreme, and Tata AIA Life Insurance Maha Raksha Supreme. Tata AIA offers comprehensive insurance plans at affordable prices. Tata AIA Life Insurance has a wide range of policies to choose from that provide coverage to meet the needs of a diverse group of individuals and organisations. Policyholders can buy Tata AIA term insurance protection plans online. Policyholders can also pay their premiums online and register their claims online within few seconds. The company has a stellar claims settlement ratio and a dedicated team that provides claims assistance round the clock. Tata AIA Life Insurance has set up a network that ensures the quick settlement of claims (within 48 hours) made and a streamlined process to make it easier for claimants to file, track their claim status and receive their pay-out. Currently, Tata AIA offers 5 different Term Insurance Protection Plans, namely Tata AIA Life Insurance Sampoorna Raksha, Tata AIA Life Insurance Sampoorna Raksha Plus, Tata AIA Life Insurance iRaksha TROP, Tata AIA Life Insurance iRaksha Supreme, and Tata AIA Life Insurance Maha Raksha Supreme. For more information about each plan, read on. Tata AIA Life Insurance Sampoorna Raksha: This is a non linked, non participating term insurance plan offered by Tata AIA. This offers financial security for the family in case of untimely death of the policyholder. This policy also lets the policyholder to either receive a lump sum benefit on death or choose to receive it as monthly income on instalment basis. Option 1: Sum assured on death as lump sum benefit on death. Option 2: Sum assured on death as lump sum benefit on death and monthly income for the next 10 years. Option 3: Enhanced sum assured on death as lump sum benefit on death. Option 4: Enhanced sum assured on death as lump sum benefit on death and monthly income for the next 10 years. Policy terms up to 40 years available. Life cover is given to people up to 80 years of age. One unique benefit under this plan is that the insurer offers lower premiums for female policyholders and non smokers. Tax benefits available under Section 80C and 10(10D) of the Income Tax Act. Basic Sum Assured The minimum sum assured is Rs.50,00,000 and the maximum sum assured does not have any limit. It is subject to underwriting. Tata AIA Life Insurance Sampoorna Raksha Plus: This is yet another non linked, non participating term insurance plan which promises return on premiums on maturity. Buying a term plan is definitely the best way to protect your family from any financial crisis in case of any eventuality. This plan not only offers protection but also returns the premiums paid on survival till the policy matures. The plan returns the premium if the insured person survives till maturity. Life cover is given to up to 30 years or until the age of 80 years. The plan offers two premium paying options, namely regular and limited. Policyholders can choose either 5 or 10 years policy term. If a policyholder chooses higher coverage, large discount is available in terms of sum assured. 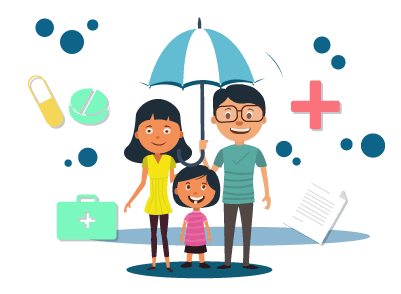 Tata AIA Life Insurance iRaksha Trop: This online term insurance plan with return is an ideal protection plan for those who want their loved ones to stay financially secure in case of any eventuality. This policy does not only promise financial protection throughout the policy term but will also return the total premiums paid at the end of the term of the policy. This is a single plan that offers two benefits, namely protection and return of premium. Policyholders can choose either Regular Pay, Limited Pay, and Single Pay. Tata AIA also offers low premium rates for non smokers and female policyholders. Tata AIA Life Insurance iRaksha Supreme: This term insurance plan can be purchased online. It is a non linked, non participating term insurance plan that offers financial protection to your loved ones in case of any eventuality. Tata AIA Life Insurance Maha Raksha Supreme: This term insurance plan ensures that your family and loved ones are not burdened with debts by providing financial protection. This is a non unit, non participating term insurance plan that offers a wide range of choices to personalise your plan. Policyholders can increase the cover at anytime in the future with the Life Stage Plus Option. The plan also has an inbuilt Payout Accelerator Benefit which will give the insured person 50% of the sum assured in the event of a terminal illness. Why one need to buy Tata AIA Term Insurance/Protection Plans? Tata AIA Life Insurance Company Limited is one of the leading insurance companies in India. From protection plans and wealth solutions to child insurance plans and retirement solutions, they offer it all. All their term insurance plans are affordable and are designed to meet a policyholders requirements. As it is one of the reputable insurance brand in India, they offer flexible insurance options from time to time.